I always love taking engagement pictures at Lake Tahoe. These were extra fun because I loved Anisha’s dress she chose to wear to her and Lorean’s engagement session. 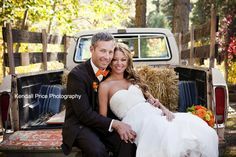 The color matched Lake Tahoe and it was fun to have a dress that blew in the breeze to work with! Here are a few favorites from their engagement session at Sand Harbor in Lake Tahoe . 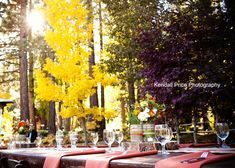 . .
David and Kristen were married at Tahoe Donner in Truckee, California. Here are a few favorites that help tell the story of their day! 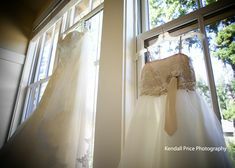 The day started off with David and Kristen getting ready with their wedding party at separate sites . 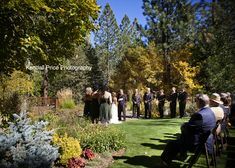 . .
Then it was time to head over to Tahoe Donner where they had an outdoor ceremony on the lawn overlooking the golf course surrounded with huge pine trees . . .
All the details of the wedding were red and white, including these flowers from Petal to the Metal . . .
A few of the reception details and some fun highlights of the evening . . .
Tyler first called me a couple months ago to inquire about having me photograph the proposal he was planning for his girlfriend while they were going to be in Lake Tahoe. We talked over possible locations, when would be the best time of day, and how we would spot one another without his girlfriend suspecting anything. He decided to propose at Sand Harbor and I loved getting to photograph the moment she said, “Yes!” as well capture the smiles, tears, and pure excitement that unfolded in front of my camera. I hid between bushes while taking these photographs! After Tyler proposed to Devin, we took engagement pictures around Sand Harbor. It was THE BEST! I would totally recommend taking engagement pictures along with having a proposal photographed. These photos were so fun to take because we took them immediately after Tyler and Devin became engaged. I think they show the excitement and love they both felt in that moment. I loved how much time and effort Tyler put into this wedding proposal. He even had a sign made with their names and the date they were engaged. He had it sent to me to bring to the proposal so Devin wouldn’t suspect anything. We incorporated it at the end of the session for a few photographs . . . Following the proposal and quick engagement session, Tyler and Devin went to dinner in Incline Village where both their families were waiting for them to celebrate their new engagement. Devin had now idea and was totally surprised by the entire evening! Thanks for having me photograph this special day in your lives. I loved it so, so much!